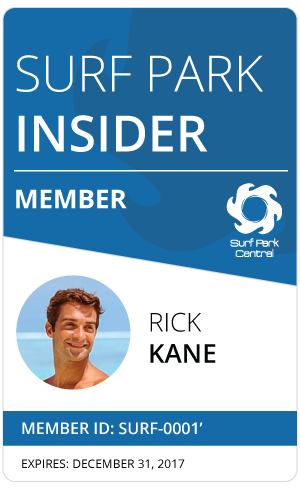 Surf Park Central | Surf Parks: The Future of Professional Surfing? Dave Mailman, former Quicksilver Europe Marketing Director, is someone that knows the business, as well as the sport of surfing quite well. As surfers, we are the spectators of professional surfing, therefore we rarely think about surfing as a spectator sport. Because the pros aren’t surfing in the Pipe Masters for you and me, they’re doing it for themselves, because they love it and it supports their lives. From the business standpoint of surfing the concept of ‘spectator surfing’- surfing specifically for mass viewing, opens up a mess of revenue and broadens the audience. This means holding events for spectators that normally aren’t interested in surfing because they don’t understand it and they’re not going to stick around for a 14 day waiting period only to have a contest called off. This article is part three of a three-part series by Dave Mailman. The first presents an overview of the subject, the second assesses the business model, and this one focuses on the future of surfing as a spectator sport. Dave does a great job at explaining why and how wave pools will play a big part in the future of professional surfing. It’s important to remember that this is not the future of surfing, but professional surfing. Noone is changing the way you or your friends view and or do surfing. Many people felt it after the Red Bull Unleashed at Surf Snowdonia, before the Willy Wonka of surfing, 11-time world champion Kelly Slater proved it at the WSL Future Classic: Legitimate professional surf contests can be held in a wave pool. Now, the question is what does that mean for competitive surfing? “We’re in a wave pool, it’s insane. I swear this was a dream for every surfer 10 years ago and now it’s finally here. It’s the future of surfing; well, for the sport of surfing, anyway.” – Jack Freestone, WSL Men’s Championship Tour competitor during Red Bull Unleashed contest at Surf Snowdonia. “This is so sick.” – Tyler Wright, reigning 2-time WSL Women’s World Champion during the Future Classic at the WSL Surf Ranch. It’s clear today’s top surfers are excited by the potential that wave pool technology has to offer competitive surfing. Some other very important professionals have been thinking the same thing for a long time. Before going any further, we have to ask ourselves the question: What is it that makes a good surf contest? The easy answer is there has to be a high enough quality of surf and level of surfing to hold the attention of spectators from beginning to end. There’s also the intangible element of suspense, which is important to any sporting event. The same local paper in Allentown also spoke to Jim Karabasz the Dorney Park Director of Surfing at the time who explained: “It took surfing down to its basic form. The guy who won was the best wave rider; all the other things that affect you in the ocean were out of the scenario”. This is still a key point put forward by pundits in favour of holding surf contests in artificial waves: it levels the playing field. However, people against holding events in wave pools think that’s exactly the problem. An equally valid argument is that being a good surfer is about more than just riding waves. It’s also about ocean knowledge and being able to read a line-up. If you can’t read a line-up, you won’t be as likely to catch the waves with the highest scoring potential. Also, waves are just as important as good surfing when determining the quality of a surf contest, especially when the swell is big and clean. The ocean is very unpredictable and even when the conditions aren’t perfect there is always the added suspense of waiting to see whether or not a wave will come to a surfer needing a score at the end of a heat. As anyone who took time to read the comments on the surf websites posting leaked footage during the Future Classic can attest, core surfers were bored with the proceedings after about five minutes, while those who were on the edge of the pool considered it an amazing spectacle. Surfing is always more exciting on site, because you can reach out and touch it. When you’re watching from home and there is a level playing field you only want to see the very best guys and your favorites, just like during contests when the waves are below average or decent quality at best. When you know from the start that every wave is essentially the same, and that every surfer gets the same amount, there is a lot less reason to tune in… at least until surfers start sticking multiple rotation flips. Whereas a surfer or someone genuinely interested in the sport will watch heats all day long when the waves are pumping no matter who is surfing. At the World Surf League, it seems keeping current purist spectators happy is not as important as bringing in ones entirely new to the sport. As the former CEO of the WSL, Paul Speaker said in his letter of resignation, “I am incredibly excited for our future. The Kelly Slater Wave Company offers a tremendous and unprecedented opportunity for the League to dramatically shift the landscape of high-performance surfing around the world with guaranteed conditions, total fairness for the competitors, greatly enhanced live viewing, and major television coverage at a scheduled time.” Although guaranteed conditions and total fairness are anathema to purists, they make it easier for non-surfers to understand and are therefore considered an essential part of selling the sport to a larger spectator base. However, one thing everyone can agree upon is that knowing when an event will start and end is a fantastic opportunity for all involved: live spectators, broadcast audience, event organizers and the surfers themselves. Someone who knows a thing or two about organising professional surf contests, and the potential that artificial wave technology holds is Andy Higgins, the former Global Event Manager at Rip Curl International responsible for the Rip Curl Pro Search concept and current Content Creation Manager at Wavegarden. “The Wavegaren Cove is perfect for live TV and web broadcasting”, Higgins said. “Events can run to a tight schedule across the course of a day or weekend. With the addition of lights, they can even continue into the night. Fans can get a clear view of all the action – a lot closer than is possible at the beach. The complication with ocean-based contests is they require a waiting period of 12 days and sometimes need a backup site. They stop and start with changes in swell size, tides and winds. Events at Wavegarden are practical for organisers, sponsors, not to mention the athletes. There are lots of different types of waves, so it doesn’t get repetitive. They get to perform in front of their screaming fans, which has to make it really exciting for them. And events are always guaranteed to finish, regardless of the conditions. For example, the other day it snowed at our demo centre in Spain and we still held a training session with some local pros”. Red Bull Unleashed at Surf Snowdonia. Photo courtesy of Wavegarden. No matter where you hold a surf contest die-hard fans and other curious spectators will find a way to watch. In places like Huntington, Hossegor, Peniche, Haleiwa and Coolangatta thousands turn out to catch the action in the water and in the process create good business for the local community. That will also be the case with wave pool contests. We’ve already discussed at length in the first two articles in this series the extent to which different aspects of the surf park business, in this case professional surf contests in wave pools may help increase sales of certain surf products. To sum it up one last time, a growing number of surfers will help sales of technical goods, but not necessarily surfwear sales. No matter the effect it has on the surfing world, the surf park industry is young, and most likely has a long and prosperous future in front of it. Do you agree with this future of professional surfing? Tell us what you think!